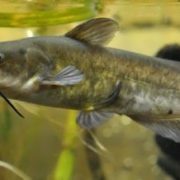 A catfish has smooth skin and a short pair of barbels that help the fish to taste and to feel. 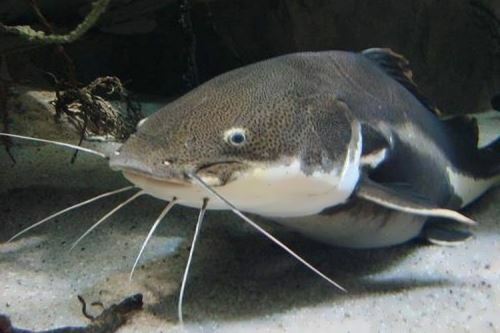 There are about 2,500 species of catfish. 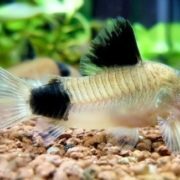 They are related to the carp, characins, and minnows. 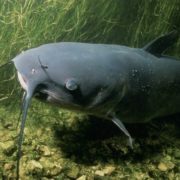 Catfishes live in freshwater on all the major continents and a few types live in oceans. 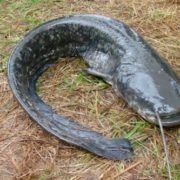 They range greatly in size: some may be more than 4.5 meters long and others are barely 5 centimeters long. 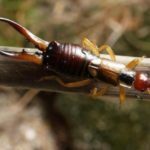 Many types have poisonous points on their back and sides. 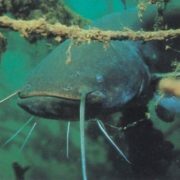 Catfishes feed on almost any kind of animal or plant material. 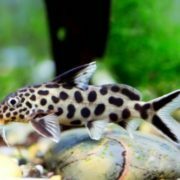 Catfish is very clever and cunning fish. 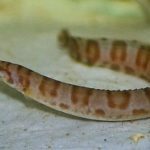 In order to lure prey, it moves barbels, simulating the movement of the worms, and thus opens the mouth. 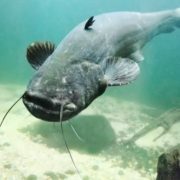 Catfish spawn around May and June. Some parents prepare a nest in the mud or sand. 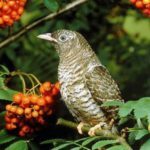 Other kinds carry their eggs in their mouth. 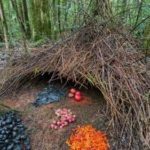 After the eggs hatch the parents protect the young until they have developed enough to become independent. 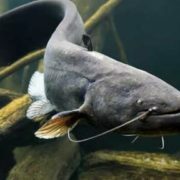 The giant catfish is one of the largest catfish species in the world. 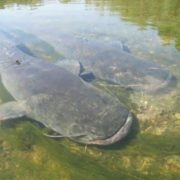 It can grow to almost 3 meters long and weigh up to 300 kilograms. 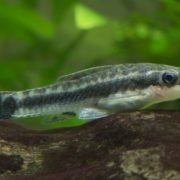 It is the fastest-growing catfish species and one of the fastest-growing freshwater fishes. 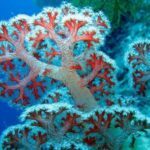 In captivity it has reached a weight of 100 kilograms in just 3 years. 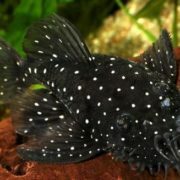 They are found in the Mekong River and its tributaries. 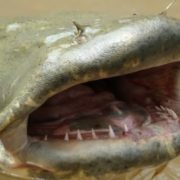 Adult giant catfishes lack teeth. 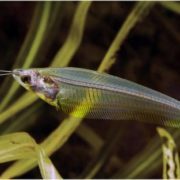 The catfish family Clariidae includes labyrinthic fishes which have evolved a special air-breathing apparatus. 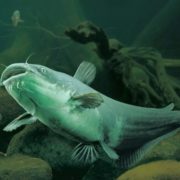 These catfish can stay out of water for an extended period of time as long as their skin is kept moist with mucus. 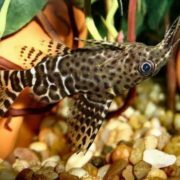 The walking catfish “walks” on dry land by performing snakelike movements. In times of severe drought they try to move overland to ponds containing water. 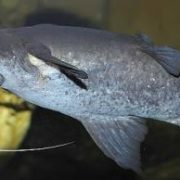 The talking catfish makes a croaking sound. 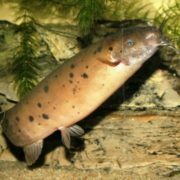 Electric catfish can produce a 100-volt shock. 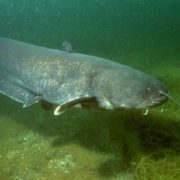 In addition to predation and defense, the electrical impulses are used to navigate in turbid water. 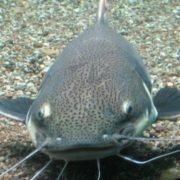 Villagers in the northern regions of Thailand consider the catfish sacred. 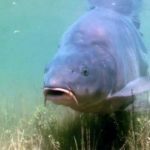 In ancient times, pig or chicken sacrifices were offered to the Spirit of the Water and the Spirit of the Fish. 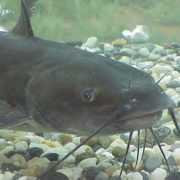 People keep catfishes in aquariums.